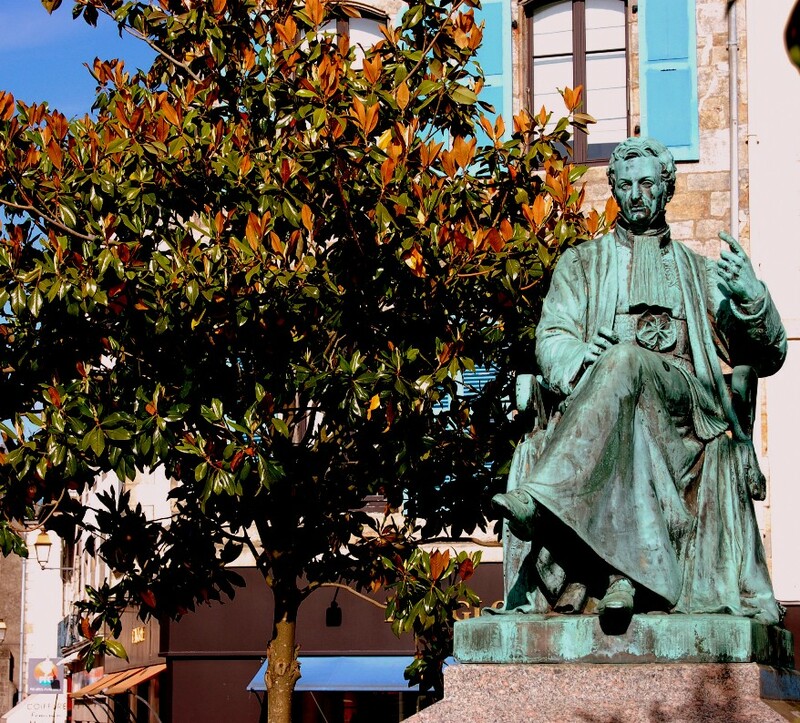 A big bronze monument to René Laennec has been erected in Quimper, the town in which he was born in 1781. The statue, a work of French sculptor Eugène-Louis Le Quesne, was inaugurated the 15 August 1868 in the Place Saint-Corentin (now Place Laennec), between the town hall and the cathedral1. 1. See A.Rouxeau, Laennec, Bailliere, Paris 1912-1920, vol. 2, p. 426.